As Without Walls approaches the end of its second three-year strategic touring project, Associate Touring Network festivals continue to work with artists and organisations to engage their local communities in creative ways. This year three main areas of focus have emerged from the ATN partners’ Audience Development plans, showing a strong ambition to carry on with their projects and build on the successes of the past two years. Appetite in Stoke-On-Trent aims to attract people with access needs by including clearer information in the brochure shared through local outreach organisations, working with a Digital Ambassador with a disability to conduct interviews with artists as part of Cultural Reporter programme and including integrated performances in the programme. The festival will also utilise a BSL speaking ambassador to complete online and outreach activities ahead of the festival, highlighting particular shows that have no language barriers or shows that we can offer BSL interpretation for. In order to better support access and participation of D/deaf or Disabled, Right Up Our Street in Doncaster will work with practitioners, as well as employ or engage festival volunteers festival who are D/deaf or Disabled. This approach will include training via the Arts Marketing Association – Reaching Deaf Audiences Training and attending Deaf Awareness Week events – Specifically a Networking and awareness breakfast, Doncaster Deaf Trust. In the months leading up to the events, Vivacity will work with the Ladies Network Group, made up of Zimbabwean, Bangladeshi, Kurdish, Roma, Pakistani, Indian and Eastern European women, to make festival décor for both ‘Once Upon a Festival’ and the ‘Museum of the Moon’. 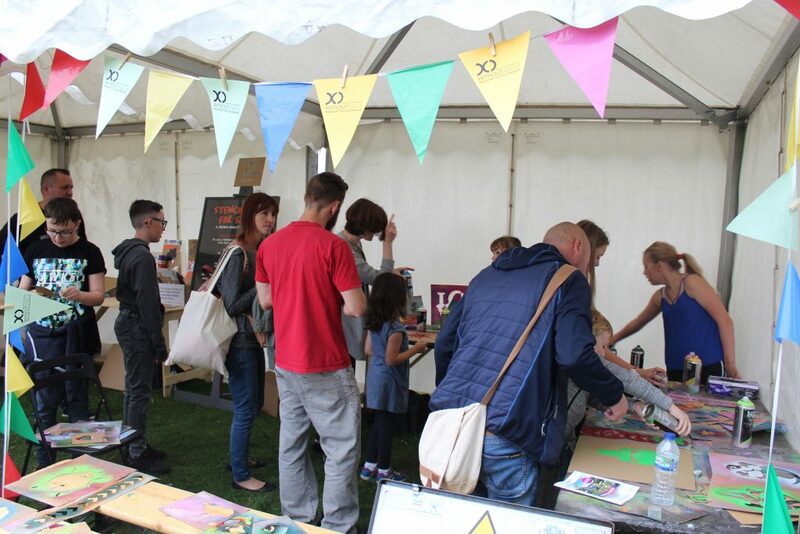 The group will make flags and banners using different colours and patterns that mean something to the different communities, running family workshops at the Museum for the public to contribute to the fabrication and a printing workshops at the Story Festival. In Hounslow, Bell Square will increase their focus on the Polish audience by adding a Polish blogger who will generate Polish language content and use their network to access Polish audiences in an engaging way. This will complement the work being undertaken to build grass-roots engagement with this audience by CPP Hounslow and the increased focus on bringing Polish artists to Bell Square being explored in tandem with the DNFestival in Doncaster, with a visit to the Ulica Festiva in Poland coming up. By delivering the Festival of Light on the Northern side of the Town Centre closer to the town centre-based Eastern European Community, Right Up Our Street in Doncaster hopes to lower barriers and encourage increased engagement. By working in partnership with the Minster, who have existing strong ties with migrant and refugee communities, the organisation intends to open the festival activity to a much broader ethnic minority. Not far from Doncaster, Derby Festé will utilise the same Festé Community Hub model as 2017, which entails the recruitment of Derby residents to take part and actively be programmed into the festival through a Saturday Circus/Carnival Parade. The Parade will play an important audience development role, having been designed to appeal widely to communities across the city as a substantial and inclusive community engagement project. The community hubs involved will include Indian Community Centre, Bosnian Community Centre, West Indian Community Centre, Age UK Chaddesden. 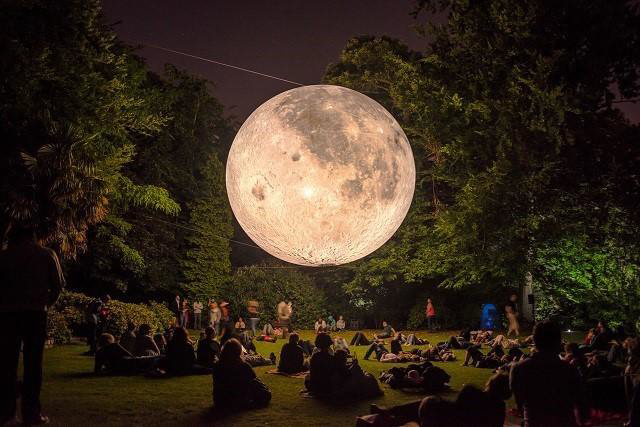 This year, Museum of The Moon, one of the most successful 2017 Without Walls commissions, will tour to six ATN Festivals, which have, in some cases, tailored their Audience Development activity around the installation. In Peterborough, Vivacity has planned a number of community events for when Museum of the Moon will be in the Cathedral. These will include a Zimbabwean group and poet, a Polish music school and a young musician’s concert organized by the Music Hub. 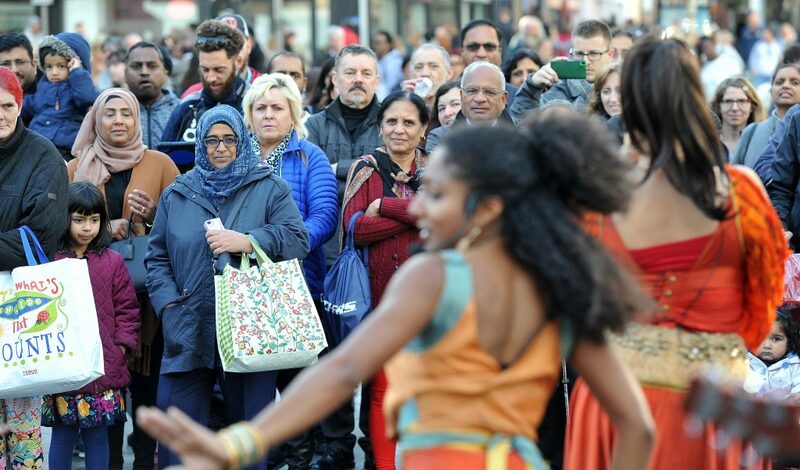 Vivacity is planning to offer a platform to perform under the Moon to organisations such as the poetry network, choirs, community groups and the Music Hub, thus bringing in people from as many cultures as possible. Appetite has organised a programme of taster activities and creative workshops for toddlers under The Museum of The Moon, working with Children’s Centres and Libraries prior and during The Museum of The Moon and in turn the Big Feast weekend. In Leicester, the installation offers the perfect link with the Diwali, of which dates are determined by the moon itself. At the very popular Diwali Light Switch On event, which attracts over 30,000 people and marks the start of the festival, Leicester Belgrave Mela in partnership with Leicester City Council will produce a spectacular Rangoli exhibition underneath the Museum of The Moon installation. 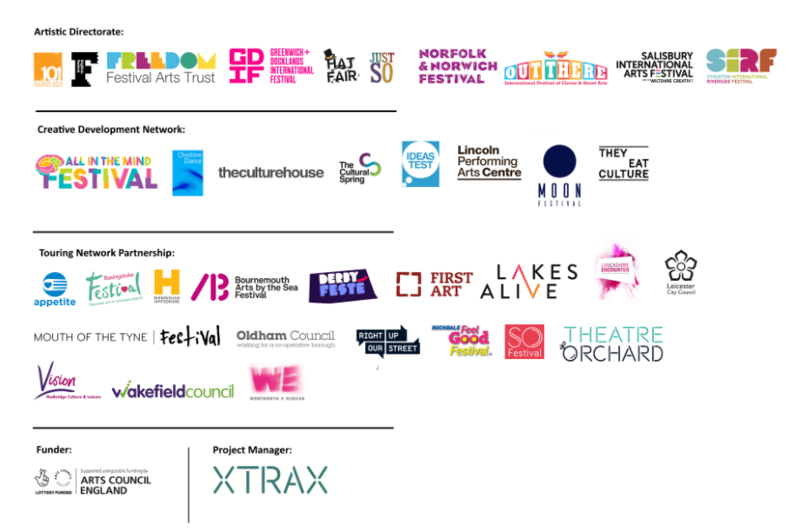 Last but not least, all ATN festivals are working to reach specific audiences through different programmes. In Hull, Freedom Festival will deliver two mini feasts in two wards (East & West Hull) in advance of the large-scale community feast which forms part of the Festival programme; SO Festival in Skegness will organise a “reverse” walk as the finale of the festival, aiming to reach young and older audiences; and Preston City Council programmed a community procession which will be inspired by Lancashire’s distinctiveness and will bring together communities from areas of low engagement. To find out more about each festival’s Audience Development plans, click here.